Turn S (left) at ML junction before arriving at Lake Louise. 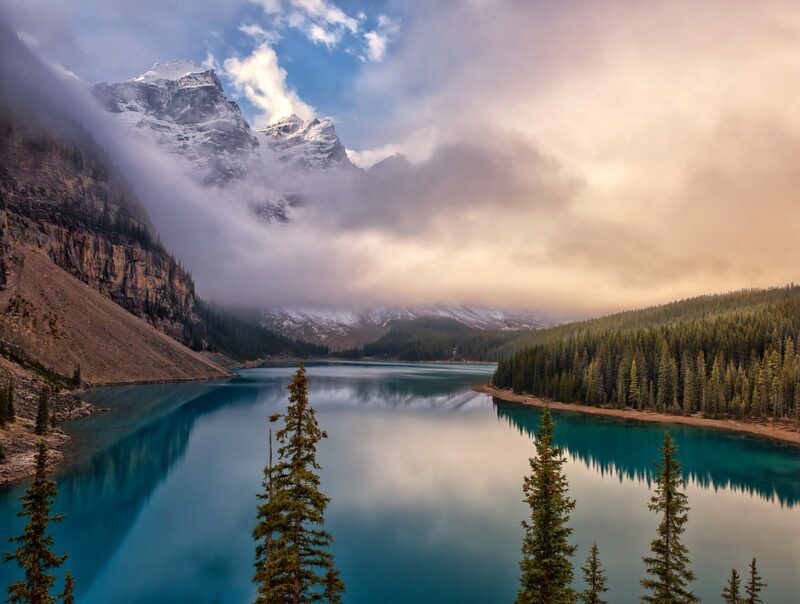 A moody, foggy daybreak at Lake Moraine. Glad the fog lifted enough to show a couple of the Ten Peaks. Then the fog covered them again.